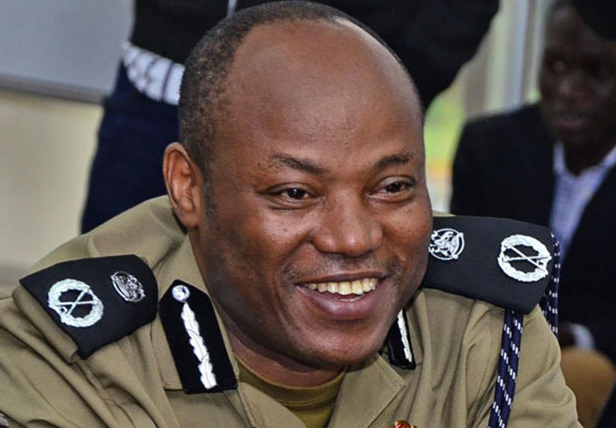 KAMPALA – The jailed former Director of Crime Intelligence in the Uganda Police Force Col. Ndahura Atwooki has Monday, February 11, been released on bail by the General Court Martial pending the hearing of his case. Lt General Andrew Gutti granted bail to Col Ndahura on conditions that he will not leave Kampala and Wakiso districts unless he is permitted by Court. Gutti also granted him bail of Shs10 million non-cash and each of his sureties Shs5 million also non-cash. Col. Nduhura is facing charges of aiding and abetting the kidnapping by the commission, repatriating Rwandan exile and refugees and Ugandan citizens to Rwanda between 2012 and 2016. He is jointly charged with the former Police Chief Gen. Kale Kayihura, Herbert Muhangi; the former commandant of Uganda Police’s Flying Squad, former Director of Crime intelligence Col. Ndahura Atwooki, former special Operations Unit Commandant Nixon Agasirwe and his former deputies Richard Ndaboine and Patrick Muramira. Others are: a staff officer attached to the Flying Squad Unit Jonas Ayebaza and Abel Kitagenda also an operative in the Flying Squad Unit . Col. Nduhura through his lawyer Evans Ochiege cited ill-health. Ochienge presented Col. Ndahura’s medical form signed by his private doctor stating that he (Col. Ndahura) needs specialized treatment and diet because he is diabetic and hypertensive. Court further heard that this special treatment and meals cannot be provided in military detention at Makindye where Col. Ndahura has so far spent 210 days. Col. Ndahura presented four sureties including four UPDF officers, a Rtd capt. Donozio Kahonda as assurance that he will return to court for trial once released on bail.